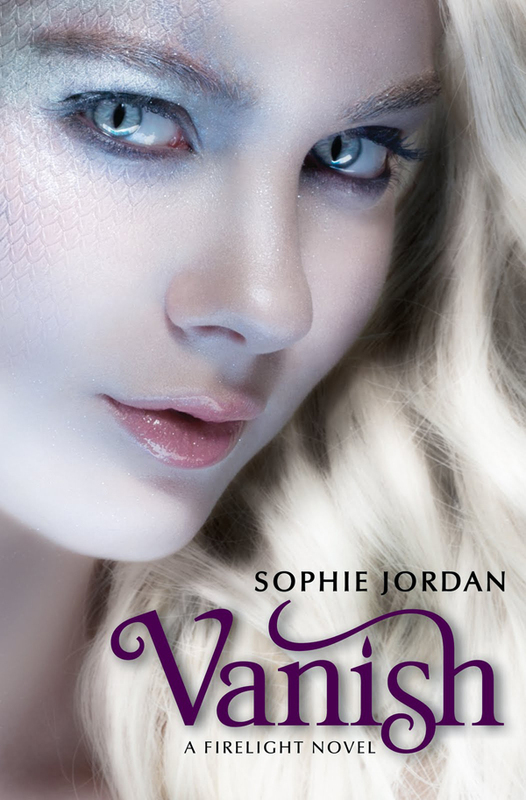 This is the second book in Sophie Jordan's A Firelight Novel series. SO IF YOU HAVEN'T READ FIRELIGHT DON'T CONTINUE READING THIS REVIEW. If you've read my other reviews you'll know that Firelight was my very first review on this blog- it also happened to be my favourite YA read of 2010. Vanish had a lot to live up to and it did that in spades! I flew right through this book. All you Will fans be warned, the crush-worthy hero is not the main focus of this installment. While Firelight built the relationship between Will and Jacinda, Vanish focuses more on the relationship between Jacinda and Cassian- and let me tell you I am a HUGE Will fan but Cassian really had me walking the line towards his side with this installment. We get to see a new, caring side to Cassian in Vanish that was absent in Firelight and we come to see just how much he truly cares for Jacinda and the lengths he's willing to go to make her happy. The relationship between Tamra and Jacinda is a bit rocky in the beginning, but (like all sisters) they're able to meet a common ground. It helps that Tamra has finally come into her draki powers of course... while I love the thought of two vying for Jacinda's attention, I can't help but feel for Tamra (she needs someone who generally cares for her). And then there's Will *sigh* Will, who risks everything to be with Jacinda, but will they be able to pack up everything and runaway together despite the consequences it will each of their love ones? The ending left me angry- angry in the sense that, I WANT MORE. Grr canNOT wait for Firelight #3 to come out next fall. Seriously, I don't know how I will make it :). If your a fan of love triangles with a paranormal twist, you must pick up this series. You won't be disappointed. I know I wasn't!